We got question from our customers about injection process lately. Here, we are going to have a brief introduction of the 7 components used in injection molding. The runner system is tunnels for conveying the melted plastic from nozzle of injection machine to cavity. Main and branch flow path, cold material well, gates are the common components of runner system. 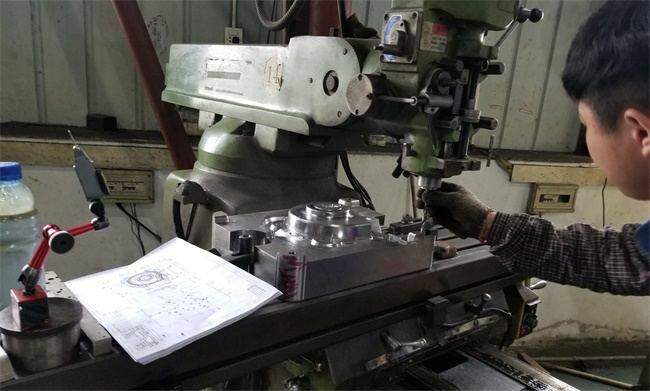 We can adjust the mold temperature via temperature control system, and there is cooling system or heating system depending on the requirements. It refers to the parts that compose the mold cavity. Punch, die, core, curved lever, forming ring and the insert etc are main components of this system. It is mainly for excluding the gas raise during injection process. The exhaust tank size is different depending on the type of resin. It mainly plays the role of guiding, positioning and bearing the lateral pressure and ensure the mold close and open correctly and smoothly. Depending on the different mold structure, the side parting/undercuts can be released by slider or hydro-cylinder. It is the action after part forming, and is composed of ejector plate, push rod, ejector retainer plate, pulling rod and reset rod. TEAM Rapid provides the best solution to meet your different volume manufacturing needs. We offer Rapid Prototype Tooling, rapid tooling, production tooling according to your requirements to catch your timeframe and budges, our experienced engineers understand your standard and can help you turnaround your part quickly. Contact us at sales@teamrapidtooling.com today and get a free quote from us! How to Quote with Injection Molded Parts?